Yesterday, GM-OnStar announced the rates for its 4G LTE data plans services that select vehicles will soon provide, beginning with the 2015-model-year Malibu. What’s more, the service will span most of GM’s portfolio, from the cutesy 2015 Chevrolet Spark to the eight-speed auto 2015 Corvette, to the high-roller 2015 Cadillac Escalade. Of note, however, there’s no mention of any Lambda crossovers receiving OnStar 4G LTE, which are arguably GM’s favorite family of people movers, so it makes us curious as to why they’re absent from the list. But something tells us that the all-new models will surface very soon. Check out which 2015 model year GM vehicles have OnStar 4G LTE with Wi-Fi hotspot here. But at any rate, enjoy the tables below. Pricing for Canadian customers is expected to be announced at a later date. A comprehensive breakdown of all U.S.-market General Motors vehicles that will offer OnStar 4G LTE for the 2015 model year. *indicates that 4G LTE won't be available at start of production, but later in the 2015 model year. OnStar 4G LTE recurring monthly plans as of August 2014. OnStar 4G LTE one-time purchase plans as of August 2014. Hey, that backseat looks familiar! 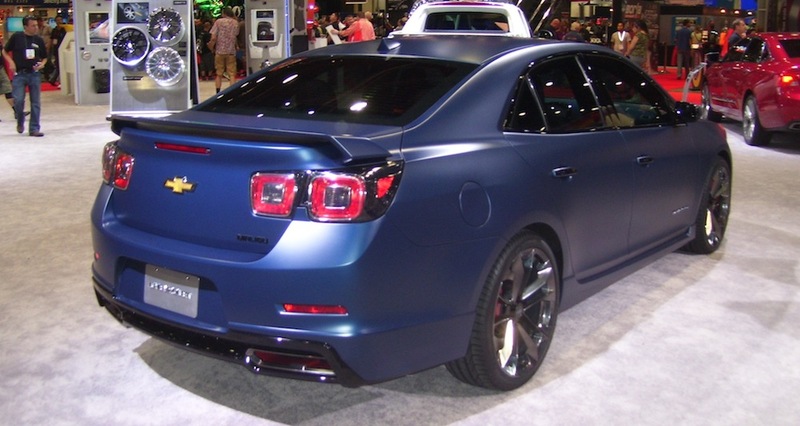 Is GM going to do anything else to the 2015 Malibu in terms of options and design? Just how often do you want a refresh? By the end of this coming Friday, and I want a draft copy of the Malibu on my desk before then. Like I have said many times before, it is still a great car, but it does need a few “enhancements” if you will. The midsize sedan segment is crowded, yet extremely profitable and it is important that Chevrolet makes the Malibu best-in-class. standard wings????? Trying to kill 90% of the market? Yes, virtually none of the mainstream mid-size buyers would go for that. That’s like something that FCA would do to the Avenger, and the Avenger isn’t anything to be proud of. Does anyone know when the next generation Lambda will happen? They are overdue. Could it be for 2015? Will there be a Cadillac version. They are actually going on the next generation Epsilon platform (E2XX). There will most likely be a sport model and an extended model (think of the Hyundai Santa Fé and Mitsubishi Outlander). They are a tad outdated, but still hold their own in the market. They will be on a new platform, and Cadillac will have an offering. Look for them in 2 years or so. Guys, you need to proof your charts when you retype them. In the monthly chart it should be 1 GB not MB. On the annual chart, the subscriber annual for 10 GB is $150 not $250. I just checked on the GM.com site.